Blog – World Passage, Ltd. If you are looking for a place that truly reflects the new young Cuba, I have a suggestion for you. Created by a local artist and decked out with his works, the café is decorated with the leftovers of Cuban’s past in a way that creates a very special cozy spot in La Habana loca. 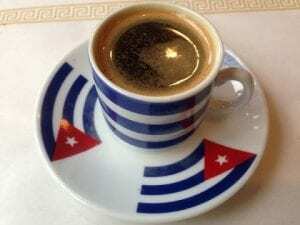 T he name comes from a traditional Cuban song which in part talks about how we Cubans love our coffee. And the menu has some excellent selections and variations on this most Cuban of beverages. The menu is compact with a good breakfast and more than adequate light lunch and snacks. Besides the coffee they offer a full selection of beverages which like the food are reasonably priced. With prices that reflect what Cubans can afford, Mamaine is the place to meet for coffee and conversation for young medical students and working people of all ages. The service is super friendly and never presses you to move on; stay – eat – drink – talk – the real Cuba. Please keep an eye out for the zunzun – the hummingbird – that frequents the place. If you are staying near 23rd Street ( La Rampa) it is right there. Hotels nearby include: Hotel Nacional, Capri, Victoria, and Habana Libre among others. The problem of anti-Semitism, literally disappeared during W.W.II. After the war, there was a large influx of immigrants from Europe and by the 1950s, when Batista (the last American-supported dictator) ruled; a vibrant community of fifteen thousand Jews existed. Ashkenazim accounted for some three-quarters of the community with 75% lived in Havana and the rest in the rural provinces. However, after the Castro led revolution in 1959 and until 1961, over 90% of these Jews fled the country and, along with many of their non-Jewish countrymen, moved to the United States, mainly Miami, Florida, parts of New Jersey and New York. Others went to various Latin American countries or Europe. Some Jews moved to Israel. The Reform movement, an American led group, was present during most of the 20th century. It came to an end when the last Reform rabbi left for the United States after the Castro revolution. 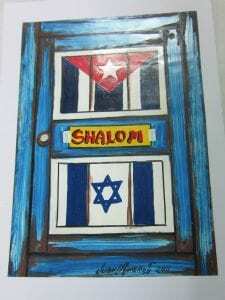 By 1989, Cuba’s practicing Jewish population was depleted to a low of 800 people or less. Although the Castr o led revolution was not directed against Jews, it destroyed the economic stability of Cuban Jewry, which was primarily middle class private business oriented. The reason for the flight was not anti-Semitism, but the economic shift from capitalism to communism. The majority of those who remained were either firm believers in the communist system that frowned on religious practice, were intermarried with strong non-Jewish family attachments, or were too poor to leave. Either way, they were concerned for their economic welfare if they would be labeled “Believers.” Thus most Jews let go of their religious practices and those born after 1955 were too young to have ever experienced any form of Judaism. After the Soviet Union disintegrated and withdrew their economic partnership with Cuba in 1989, the economy took a severe turn downward and common everyday items necessary for basic survival were in short supply. In desperation for spiritual support, people began turning to the various religious institutions for comfort and hope. The government, recognizing the needs of the people, changed the law that forbade “Believers” in any religious persuasion to be members of the party. This change allowed people to practice religion while keeping top echelon jobs. The previous law also kept children of “Believers from attending the best schools and made it difficult for these people to gain admission to the University, thereby limiting job opportunities and economic advancement. The old law did, however, protect against national, religious or racial hate and that has not changed. The new law gave Jews, along with all Cubans, freedom to worship, and the opportunity to receive ritual items and kosher holiday food from abroad. In addition, the distribution of kosher beef that had been in effect since the Revolution for registered members of the various synagogue communities continued as the government recognized that these people needed beef rather than the pork available in the ration stores. Please revisit soon for Part 3! Religious persecution in the fifteenth century brought Jewish life to an end in Spain. The Spanish Inquisition gave Jews the choice to either convert to Catholicism or be expelled. Most Jews left for points east in the Mediterranean or north to France or the Netherlands. Those who stayed converted, but many continued to practice Judaism secretly. These “pretenders” of Catholicism were called los Marranos, which referred to the pork they would eat in public for show their support of Catholicism. Many Marranos headed for the “New World” where they established their communities, complete with synagogues. In Spanish controlled territories, however, while less threatened by the local government, the practice remained secret. In Cuba where the Inquisition was strong it was very difficult to continue Jewish practices even in secret. These “New Christians” left for other locations in the New World or were absorbed into the general Spanish population of Cuba. 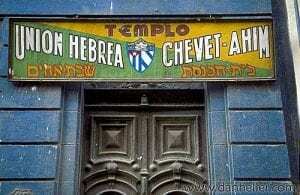 Cuba saw many waves of Jewish immigration after the Spanish-American War. During the 1920s, with the tightening of immigration quotas into the U.S.A., Jews, mainly from Turkey and Eastern Europe, settled all over the island. Young men from Eastern Europe, both single and married, came to make a better life or to wait until they could get permission to immigrate to the U.S. Many quickly became successful peddlers and small businessmen. The married ones sent to Europe for their families and bought homes. Single men either sent to the “old world” for wives or intermarried with the Cuban Catholic population. Those from Turkey and other Sephardic Jews tended to arrive as family units. Since life in Havana was more expensive than in the countryside and more opportunities for economic success existed in other cities, the Sephardic influence became widespread across the island. In the 1930s, Cuban Jews participated in an active communal life and they published a number of newspapers in Yiddish and Spanish with diverse religious and political orientations. Cuba was the first country in the Americas to allow Jews fleeing persecution in Europe to enter, when other countries – notably the United States – refused. Cuba was the first country in the Americas to allow Jews fleeing persecution in Europe to enter, when other countries refused. During this time, a central Jewish committee was created to represent all Jewish groups. As the 1930s progressed, there were episodes of anti-Semitism, a new phenomenon in Cuba. The plight of the Havana-bound passengers stranded on the German liner St. Louis dramatized the tragedy of Jewish refugees fleeing Nazi Germany, yet they were also denied admission to Cuba. Please revisit soon for Part 2! Gastronomy is an excellent way to discover a country and its culture. Cuba offers the flavor of exotic foods found in unique dishes that you only hear about in magazines and shows. Due to the opening of the economy and the new possibilities of business in Cuba, we are witnessing a real revolution in Cuban cuisine not only because of the rescue of traditional dishes, but also for the fast transformation of the urban landscape with the appearance of new establishments every day. Choosing a place that really shows you the local cuisine during your visit can be a real adventure. 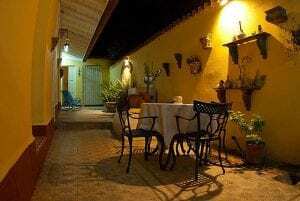 Don’t place the responsibility of building the flavor of your experience solely on your shoulders; below are some tips, based on our own taste developed from immersion in the Cuban environment. If the restaurant is empty, don’t go there. There is a high possibility that you will regret this act of faith. Follow the locals. Generally the lines are large, especially on holidays like mother’s day, father’s day and Saint Valentine’s day, but if you have the time you will enjoy dishes full of flavor and with careful service. We recommend: Los nardos, La flor de loto, La mimosa, La Juliana, all in Chinatown. Don’t trust restaurants where somebody at the door offers you the best Caribbean lobster, it will surely be overpriced and overcooked. The best seafood in Havana can be found in: Vistamar, Santy pescador, El Templete. Take time to plan your trip, research the best restaurants. We recommend http://www.lahabana.com/Life&Style/food_drink.php, they have a trustworthy list of restaurants that you can follow. TripAdvisor offers some suggestions, but I don’t always agree with them. Think twice before having your meals in a restaurant where there is a group already, service can be slow! Trust your World Passage team, experience Cuba the right way. We hope to improve your trip with these suggestions, tell us how it went! Havana is a warm, beautiful, mysterious, and extraordinary city. It is an eclectic city in all its dimensions. Often I walk through its streets and neighborhoods conscious of the history hidden in every corner. Meanwhile, my senses enjoy the aroma of the magic mixture of a boiling Ajiaco, our national soup, or of the music that sounds totally happy; disrespectful of any standards and norms. Many people in many places have written about Havana. Being Cuban, 100 % from this city, I want to share with you my findings, my points of view, and therefore help you to know it better. I will talk to you about what is old, and what is new. I invite you to join with me on a journey from its unique architecture to its most famous meals and beverages. Come with me to see what can be marvelous in this piece of Cuba. Havana is on vacation. The streets are bustling with people coming and going and just enjoying the summer. I decided to visit “El Aljibe” restaurant, in Miramar neighborhood. A very good Cuban cuisine is served here; they keep the famous recipes as “top secret”, which is why they are unique in flavor and authenticity. Once seated at my table near the big open window I enjoyed my first (of several) mojitos. I’m not naturally nosey, but I couldn´t help noticing the struggling waiter trying to explain to a foreign tourist that, yes, in fact, all that dishes in the menu are based on banana or plantain. For us, this food not only represents the internationally known sweet banana, but a wide family where the “macho” and “burro” are the most used varieties, at least for cooking. The Cuban cook makes marvelous dishes with all the varieties. In front of the menu you can find them under the group named as “viandas”, that is formed of breaded vegetables as potato, sweet potato, malanga and of course plantain. 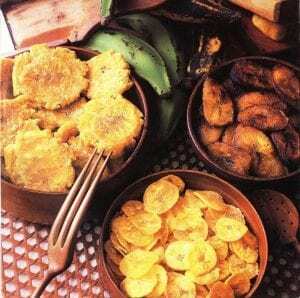 Additionally, among the dishes made from the versatile plantain one can be count: mariquitas o chicharritas, tostones o tachinos, fufú, platanos maduros fritos o plátanos en tentación. These are part of the pure traditional Cuban cuisine.